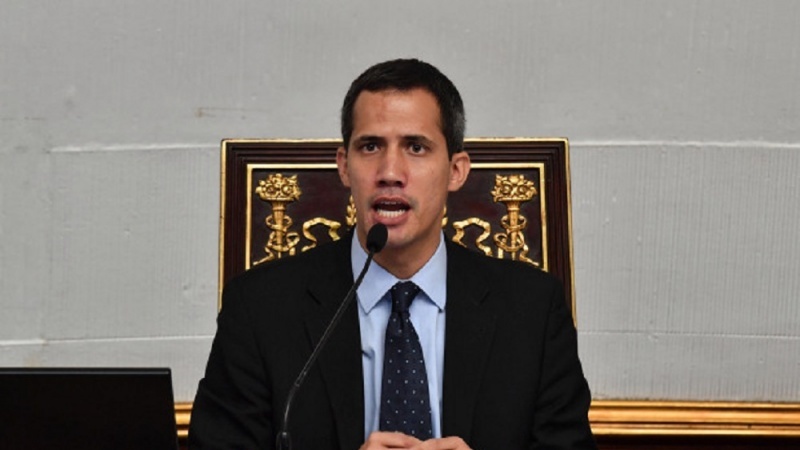 Venezuela’s opposition leader Juan Guaido has refused to rule out the possibility of a US military intervention in the country as part of efforts to overthrow President Nicolas Maduro. In an exclusive interview with AFP on Friday, the self-proclaimed US-backed ‘interim’ president said he would not ruled out the possibility of authorizing a US military intervention to help force Maduro from power and alleviate a humanitarian crisis, claiming that he sought to establish a “transitional government” and hold “free elections” in the country. The 35-year-old opposition figure called on the Venezuelan army to allow the humanitarian aid, which is currently in a warehouse at the Colombian border, to enter into the country. Maduro had earlier in the day denounced the aid as a show “fabricated by Washington” to justify intervention and vowed to block the cargos. The Venezuelan president also vowed to “defeat the US coup attempt,” saying Venezuelans are united in the face of American attempts to undermine the country’s sovereignty. In the interview, Guaido called on his supporters to stay in the streets and protest until the “usurper” Maduro allows the convoy with US-sent aid to cross into Venezuela. Venezuelan Foreign Minister Jorge Arreaza said a day earlier that Caracas was ready to sit at the negotiating table with the opposition “within the next 15 day,” and resolve the political crisis in the South American country. Meanwhile, a senior White House official revealed on Friday that the US was holding direct communications with Venezuela’s military personnel, urging them to abandon President Maduro.